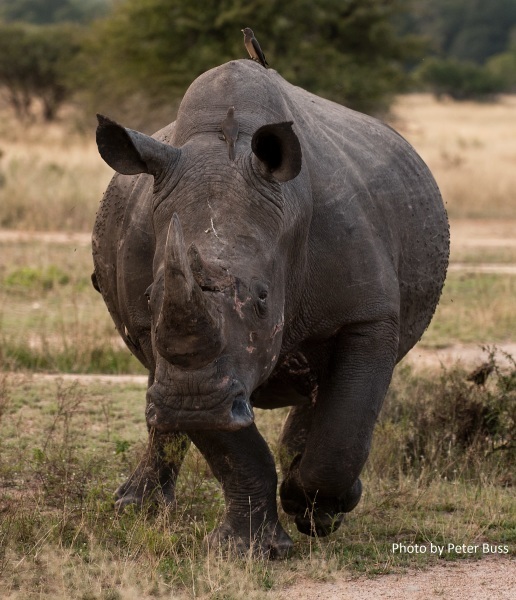 More Sensitive Test Improves Disease Surveillance In Rhinoceroses And Elephants In Kruger National Park South Africa. Mycobacterium bovis is a disease that threatens the conservation of free-ranging black rhinoceros and elephants in Kruger National Park, South Africa. A new product uses respiratory samples to culture bovine TB and provide informed decision about bTB spread and disease management to eradicate bTB in South Africa. (London, UK, October 25, 2018) Prof Michele A. Miller and Dr. Wynand J. Goosen from the Stellenbosch University’s Animal TB Group (Stellenbosch, SA) working together with TiKa Diagnostics Ltd (London, UK). They have been evaluating the advantages provided from a new product designed to increase the speed and sensitivity in detecting bovine TB caused by Mycobacterium bovis. The test has already been successfully applied in the UK to faecal samples from badgers and tissue samples from cows. Results show this product offers a significant advancement when testing respiratory samples from rhinoceros and elephants. Recent research of the Stellenbosch University’s Animal TB Group showed that a high proportion of lions in Kruger National Park are infected with bovine TB. In addition to lions, tuberculosis affects African elephants and rhinoceros, however there is little known about diagnosis, pathogenesis and impact on these species. Stellenbosch University’s Animal TB Group has collaborated with South African National Parks to address this by prioritizing research to develop diagnostic tests for TB in elephants and rhinoceros. However, until now there was a paucity of available techniques for the direct detection of mycobacterial infection and disease in these species. Bronchoalveolar lavage (BAL) samples collected from rhinoceros and elephants as well as trunk wash (TW) samples from elephants used for mycobacterial culture often fail to deliver results because of the high rate of culture contamination caused by the presence of common environmental bacteria and the difficulty in recoverability of low TB loads associated with these sample types. TiKa Diagnostics has invented a patented test able to decontaminate samples without compromising the viability of TB. Additionally, the system stimulates growth of the TB organisms allowing more rapid and more sensitive culture results to be obtained than has previously been possible. This innovation will aid veterinarians to make faster more informed decisions on animal tuberculosis management, enhance the efficacy of control measures aimed at reducing disease spread and help rationalisation of efforts to eradicate TB in South Africa. As the test provides a live TB culture, typing is also possible, allowing better epidemiological studies. Black rhinoceros (Diceros bicornis) are under severe threat from poaching and habitat loss. This species has been designated as critically endangered by the International Union for Conservation of Nature Red List. An estimated population of 5,000–5,445 animals are found in southern and eastern Africa, with just over 1,200 of those in South Africa. In Kruger National Park in South Africa, the black rhinoceros population size is estimated at 400. Kruger National Park is considered an endemic area for Mycobacterium bovis, with cases reported in at least 12 wildlife species, including African buffalo, lion, kudu, and warthog. TiKa Diagnostics Ltd is a spin out company from St George’s University of London. The company was founded 2014 by Dr Tim Bull and Dr Kai Hilpert. TiKa Diagnostics Ltd specializes in the detection of Mycobacteria in humans and animals. The company has invented a new patented test able to confirm the diagnosis of Tuberculosis (TB) in adults and children significantly faster, with greater sensitivity and with less contamination than has been previously possible. The company has demonstrated that using the new culture system, they can grow the bacterium that causes TB much faster and from a wider range of types of samples. The new enhancing products can be easily incorporated into existing routine clinical laboratory methods. This innovation will help doctors make faster, more informed decisions on tuberculosis treatments. This will lead to improvements in the efficiency of care, better rationalisation of the cost for hospital stays and help to stop the spread of disease. The Animal TB research program takes a multi-pronged approach to improving knowledge of the epidemiology, pathogenesis and immunology of bovine tuberculosis (BTB). This includes investigating the role of host genetics and immunology in susceptibility to BTB; the genetic diversity of mycobacterial pathogens and their impact on wildlife and livestock; and the development of diagnostic assays for numerous host species. The work incorporates a continuum of basic to applied research both in the laboratory and field. Our new product processes badger faeces in a novel manner that enables and promotes the selective culture of bovine TB. Use of this product for surveillance on badger latrines will enable more precise monitoring of bovine TB spread and facilitate informed decisions aiding eradication policies. TiKa Diagnostics has a new product that improves the sensitivity and utility of existing methods for the detection of live bovine TB from badger faeces. Mycobacterium bovis (Mbov) causes Bovine Tuberculosis (bTB) in wildlife and domestic animals including cattle, deer, goats, pigs, cats, dogs and badgers. The UK has the highest incidence of cattle associated bTB in Europe and contact with infected animals or related foodstuffs can lead to the development of human tuberculosis. To combat this threat, in addition to standard pasteurisation of milk, Wales and Northern Ireland are currently following a bTB in wildlife vaccination strategy whilst England has recently intensified its current culling strategy. Badgers deposit their droppings in open dung pits (latrines) found in close proximity to their setts. These are thus mostly specific for individual badger setts and as infected badgers defaecate Mbov, collection offers a convenient way to monitor animal infection without trapping. Until recently badger droppings have not been used to culture for Mycobacterium bovis because of the high contamination rate by other faecal and environmental bacteria and the low recoverability of Mbov when associated with faecal matter. TiKa Diagnostics Ltd has invented a patented test able to decontaminate samples without compromising the viability of Mbov. The system also stimulates the growth of the Mbov organism allowing more rapid and more sensitive culture results to be obtained than ever before. This innovation will help veterinarians make faster, more informed decisions on animal tuberculosis treatments, promoting improvement in the efficiency of herd control, reduction of disease spread and rationalisation of efforts to eradicate TB in humans. As the test provides a live Mbov culture, typing is also possible allowing better epidemiological studies and offering assured differentiation of live vaccine strain passage and infection by pathogenic strains. TiKa Diagnostics Ltd is a spin out company from St George’s University of London. The company was founded 2014 by Dr Tim Bull and Dr Kai Hilpert. TiKa Diagnostics Ltd is specialized on the detection of Mycobacteria in humans and animals. The company has invented a new patented test able to confirm the diagnosis of Tuberculosis (TB) in adults and children significantly faster, with greater sensitivity and with less contamination than has been previously possible. The company has demonstrated that using the new culture system, they can grow the bacterium that causes TB much faster and from a wider range of types of samples. The new enhancing products can be easily incorporated into existing routine clinical laboratory methods. This innovation will help doctors make faster, more informed decisions on tuberculosis treatments. This will lead to improvements in the efficiency of care, better rationalisation of the cost for hospital stays and help to stop the spread of disease.